VoIP is a technology that is coming into its own. It is a big money saver for businesses in many ways. Because VoIP can route calls over SIP Trunks, the obvious savings is in the cost of your phone lines. This is not the only way VoIP can save money. 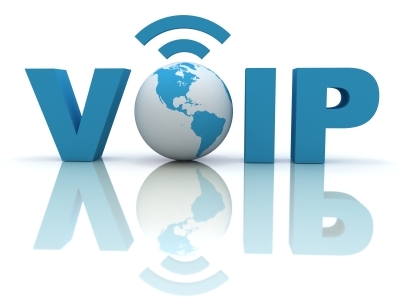 VoIP uses your local area network and the Internet to connect the phone system to the phones. Because this is so ubiquitous, this means that phones can be placed anywhere, moved and even be used at home or in remote offices. This massive flexibility provides a multitude of options for businesses to save money based upon their own unique business operations. Telephone line costs. A traditional phone line can be replaced with the SIP trunk. This saves from 20% to 50% on your monthly phone bill. The huge savings here reduce monthly expenses but add performance features like direct inward dialing. Remote Workers. Different businesses have different needs. For a fast growing business that requires employees to work from home, or maybe just an occasional ability for key employees to work from home, VoIP allows remote phones to work from anywhere. An added bonus is that management can keep tabs on the remote workers by seeing their status on desktop management screens or by having busy lamp buttons programmed on their phone. In some cases, businesses have been known to reduce their real estate expenses dramatically by employing remote workers, resulting in huge overhead reductions. Direct Inward Dial. Taking advantage of Direct Inward Dial (DID’s) numbers allows workers to have a direct telephone line number so their calls do not need to go through a receptionist. This frees up the receptionist to have more time for other duties, while greeting customers with a live answer directly to the employee they need to speak to, increasing customer service and saving money. Voice mail to Email. Voice mail to email sends all voicemail messages to an email inbox. In today’s mobile world, it nice to receive the voice message on your mobile phone or in your email after hours so you can contact the customer if the situation requires it. This increases customer service and efficiency of the work force. Conference Bridge. Some VoIP systems come with a large conference bridge as part of the package. This can eliminate the cost of conference fees and provide much better service and accessibility for your conferences and webinars. Ease of Service. Pick a VoIP System that provides a portal for users to be self-sufficient. Depending on the user’s requirements, each user can be given permissions in a web based portal to manage their voice greetings, print phone labels, access button controls and many other features. This eliminates and reduces service calls as well as custom tailors the system to a company’s unique requirements. Mobility. Some VoIP systems have great mobility features. Follow me will ring multiple phones for users that need their cell phone and desk phones to ring simultaneously. This creates a degree of efficiency so when a user walks away from their desk, their cell phone will ring so they never miss an important call. Increasing customer service and always being available for sales calls will increase sales as well as improve customer satisfaction. With some systems, it is even possible to transfer calls from the phone system on a mobile phone back to an extension in the phone system. Maintenance Cost Reductions. Since VoIP works differently than traditional old fashioned telephone systems, it is possible to reduce the cost of moving phones around. Each VoIP phone is an extension off the phone system. Users can simply unplug their phone from the LAN and move it anywhere they wish. In some cases, with a little easy setup, you could event take the phone home and still be connected as an extension with all the same features and extension number. This eliminates service calls to move phones within an office. Text Messaging. Many VoIP systems also include a text messaging server. This allows users to communicate from desk to desk or even desk to mobile phone without incurring any texting costs. This saves money and allows users to communicate with colleagues on the phone to provide critical information without putting the caller on hold. This is the second decade of the 21st century. Businesses need to get with the times. Just like the turn from DOS to Windows or the turn from tube TVs to flat screens technology is never going back to the old traditional system that was designed 120 years ago. You will eventually pay the price for keeping older traditional equipment on many levels. Spare parts are a problem, proprietary parts will not be available soon and you will be stuck using expensive traditional phone lines. VoIP will save any company money right now.